Diaspora is a Melbourne-based ensemble comprising the heavyweights of the local Albanian music scene. 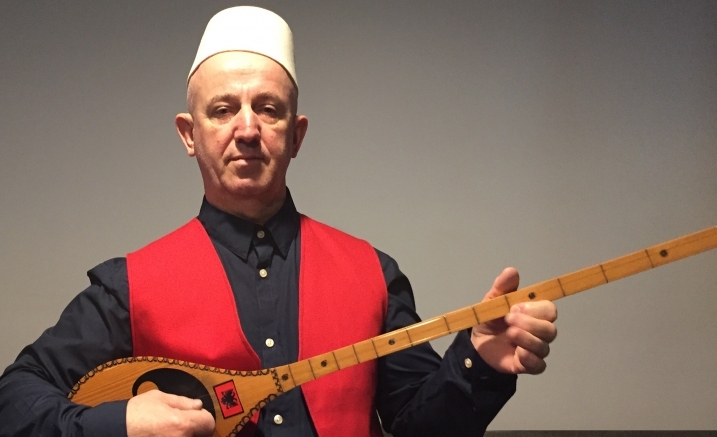 Performing an array of dynamic and moving traditional Albanian folk songs that touch on the four corners of the region, this unique ensemble presents a window into one of Melbourne’s oldest and diverse migrant communities. For most musicians and musicologists in the West, traditional Albanian music remains an obscure subject, even though Albania has produced monumental cultural and corresponding musical heritages. Diaspora brings you a selection of cultural songs performed on the ancient instruments: ciftli, gernet and daire. Experience distinct sounds and stories from different regions, including patriotic songs of the North and traditional songs of the South.